EBooks have come a long way since they were first introduced. Convenient and readily accessible, they have taking the industry by storm and gone some way to replacing paperback books. Great as they are, though, they just can’t replace the feel of a paperback in your hands. Even as more persons come to embrace the famous ‘digital ink’, millions out there would rather have a good ol’ paperback. What Do You Get with Our CreateSpace Formatting? Which Book Types Do We Format? Why Choose Ebookifi for Print Book Formatting? Get Your Print Ready Paperback Today! EBooks might be cost effective for reader and publisher alike, but sticking strictly to digital books cut you out of the market of still teeming paperback fans. 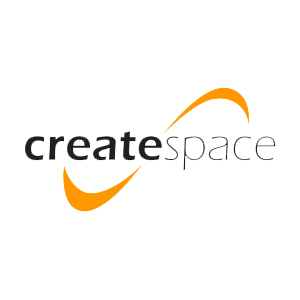 CreateSpace, as well as other print on demand platforms like KDP Print, Ingram Spark, and Lightning Source, offers you a chance to get your book printed and distributed only as needed. If you have chosen to take advantage of the opportunities afforded you by such platforms, you will have a little more work on your hands. Formatting for CreateSpace is a tad different – and a notch more involving – than eBook formatting. But you do not have to bother about that. At Ebookifi, we desire to leave you to the role of infusing knowledge while we focus on providing you with properly formatted books that feel professional and carefully thought out in the hands of your readers. Table of Contents: Inclusion of a Table of Contents with page numbers. Fonts and Glyphs: We include any of your desired font styles, even custom fonts, or glyphs for the various parts of the book. Header and Footer: Your preferred write up or designs for the book header and/or footer, if any. Drop Cap: Specially formatted drop caps at any points you desire them in the book. Page Number: Orderly page numbering from the introductory pages to the body of the book. Font Formatting: Retain any stress/emphasis formats in your manuscript like Bold, Italics, and Underline. Non-fiction books, like children books, are sometimes laden with images that serve to drive home the point. Your non-fiction books are also likely to contain other elements like graphs, tables, charts, and figures. All of these require extra care and finesse to ensure that images are properly positions, and charts and graphs are not broken. We take the time with any images, charts, etc. to ensure that the entire flow of your book is not disrupted by these elements. Please note that books laden with images, tables, graphs, figures, and charts often attract additional formatting charges. You have the creative freedom over your book. We understand your need for something different and catchy, and go all the way to format your book in your desired style. There are a ton of styling options out there from which you can select, in giving your book its final shape. We provide different styling options according to your needs to get your book from a rough manuscript into the final copy which you would get into your readers hands. Varying Input Formats: We accept your manuscript in whatever format you may have developed it. We recognize the acceptability of different workflow platforms by different writers, and will play our role regardless of your preferences. Fast Turnaround: Regardless of your book size, your formatted print ready PDF will be available under 72 hours of your order. Stress-Free Order: The stress of developing your book content is enough. Our stress-free ordering system is designed to ensure your road to self-publishing is rid of any hassles. Experience: The Ebookifi team is made up of persons with extensive personal experience in the world of publishing. We are aware of all the possible difficulties – whether it is getting the right font or ensuring images, graphs and chemical formula are well ordered – and have devised ways over the years to bypass them. Clear Pricing Structure: We have a clear pricing structure which we follow for your projects. There are no hidden charges and no royalties are collected after the first payment is made. It also works with key features such as Lightning Source and Lulu. You can even provide it to a smaller local printing company to get a print-ready PDF file to fit every specification. If you are worried about the file formatting or the formatting prior to us beginning, don’t worry about it. Our team can focus on the design and the formatting; you concentrate on the quality of the content. If you intend on using our eBook formatting service, then we will make sure that we provide an updated version of this improved edition, ensuring that the printed version is always the latest edition! Our service has been tailored to make sure that, regardless of size-related issues, we can deliver an easy and effective solution right away. Our files follow the best practices when it comes to typical typography. This means that we follow the most common and sought-after printing techniques to ensure that you fit with all typographical standards. We can improve the book, editing any needed details as we go, to make sure that you are left with the perfect solution. As a strong default option, we tend to use 5.25×8” trim sizes but can go with as many variations as you might need. If you cannot decide then let us work with a chosen style, and we can then edit the trim factor at the end to make sure we make the decision everyone can be happy with. We understand that as a very specific service, it helps to have full trust in the people working on your book. Well, we provide an eBook editing service that makes sure it can be published professionally with ease, but also the guarantee that if this does not turn out exactly as you need, then we will offer a full refund without any questions. We offer the best guarantee of quality that we can, ensuring that you get all the help that you need in finding an effective way to look after your property. Don’t just let anyone work with your book – leave it to the professionals with a genuine passion for making the written word look the best it can. Does this sound like the kind of help that you need? Then use our all-inclusive service today. With fair pricing, an excellent quality of work and a highly detailed range of improvements, we make sure you have nothing to worry about when it comes to print-ready PDF conversions! We generally do not take the time to read through your manuscript when formatting it. It is assumed that your submission is the final edited copy which will be needing no further changes or corrections. However, we offer simple corrections to minor errors or irregularities that we might notice at no cost. Changes that require more than a few minutes to correct are timed and charged at a rate of $5 for every half hour. CreateSpace, KDP Print, Ingram Spark, and any other self-publishing platform for paperbacks you might consider offer you a chance to tap into a wider market share. Thrill your hardcopy readers with a book that offers just the same excitement as your digital version. Contact us today for an instant quote!